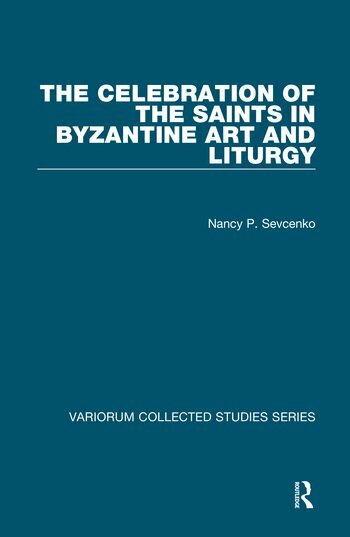 The studies in this volume all deal with images and texts that relate to the veneration of the saints in Byzantium after the 9th century. Some papers are devoted to the church calendar and the annual commemorations of hundreds of saints through liturgical poetry and sequences of isolated images in fresco, icon painting and illuminated manuscripts. Others are concerned with the longer and rarer, narrative cycles devoted to the life of a single saint, cycles found mainly in fresco and on the so-called vita icons that first appear in the East in the late 12th century. Additional studies deal with the developing role of icons in liturgical ceremonies, and with images of a saint being approached by a supplicant or patron. A final section is devoted to places made holy by the saints, and to their holy relics. Contents: Preface; Part I Saints and the Calendar of the Church Year: Canon and calendar: the role of a 9th-century hymnographer in shaping the celebration of the saints; The imperial Menologia and the 'Menologion' of Basil II; Three saints at Hosios Loukas; Marking holy time: the Byzantine calendar icons; The Evergetis Synaxarion and the celebration of a saint in 12th-century art and liturgy. Part II Narrative Icons: Vita icons and 'decorated' icons of the Komnenian period; The vita icon and the painter as hagiographer. Part III Saints and the Faithful: The tomb of Isaak Komnenos at Pherrai; Close encounters: contact between holy figures and the faithful as represented in Byzantine works of art; The representation of donors and holy figures on four Byzantine icons. Part IV Icons and Liturgical Performances: Icons in the liturgy; 'Servants of the holy icon'; The five hymnographers at Nerezi. Part V Holy Places, Holy Relics: The hermit as stranger in the desert; The cave of the Apocalypse; The Limburg Staurothek and its relics; The monastery of Mount Sinai and the cult of Saint Catherine; Addenda and corrigenda; Indexes. Nancy Patterson Å evÄ�enko is currently Vice-President of the International Center of Medieval Art, USA, and honorary Vice-President of the Association Internationale des Ã‰tudes Byzantines.